If you’re like most people, you’re used to relying on a regular paycheck from an employer. But that norm is becoming less and less normal as more and more people are looking for—and creating—multiple income streams. ASEA’s generous compensation plan gives you multiple ways to earn. 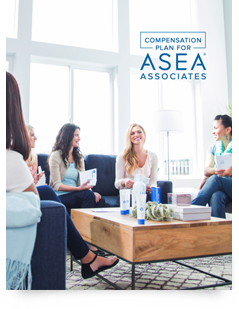 At every level of ASEA’s compensation plan, you can bring in extra income, from a few hundred to a few thousand dollars a month.